With 24 days remaining until the International Classic, the countdown continues with No. 24, looking back on perhaps the greatest drive in International Classic history, as Nolan Swift made up two laps to win the 1971 Classic. 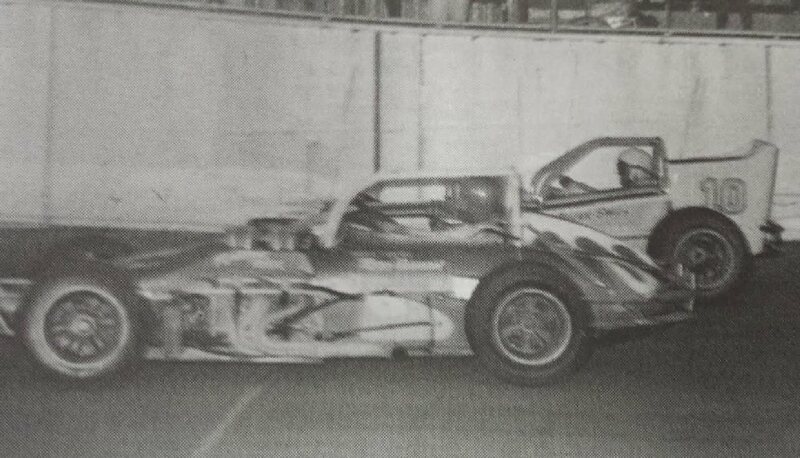 From the minute Swift rolled his new 10pins off the trailer late in the 1970 season, it was clear it was a winner, and it didn’t take Swift long to prove it. After winning the 1971 track title, Swift was the odds on favorite to win the ’71 Classic, and early in the race the track champion was pacing himself on a blistering hot night. While patiently making laps, Swift was tagged from behind and spun out in turn four on lap 61. By the time the safety crew could get Swift turned around he had lost two laps to the race leaders. It took Swift all of 100 laps to regain his first lost circuit on the lead pack, but by this point the star studded field had been decimated from attrition, due to heat, and numerous accidents. Swift would need just 15 circuits to make up his second lost lap, slashing through the limp field now on the same lap as the leaders. With only 25 laps to go Swift was miraculously back in the lead fight with front runners Todd Gibson and Warren Coniam in the Purdy Deuce. With only 5 laps remaining Swift was able to pass Coniam for second, just as leader Gibson was running out of fuel. In just 2 laps Swift was able to chase Gibson down, and pass the race leader on lap 198. Leading only 2 laps, Swift drove to Speedway victory lane for his fifth career International Classic win in amazing fashion. By the time Swift reached victory lane he could barely get out of his racecar, overcome with heat exhaustion from a grueling battle. Unfortunately Swift’s victory celebration was subdued as a result of the horrible death of Canadian runner Gary Witter earlier in the event. Coniam managed to slip by Gibson as they crossed the line second and third ahead of Eldon Schrader and Jim Cheney in the top five. 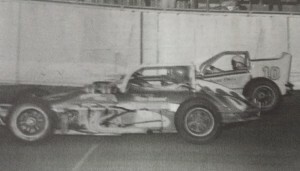 Nick Rowe, Bob Stelter, Jim Shampine, John Clapham, and Mark Letcher filled the front ten positions in the 1971 International Classic. To purchase tickets for Budweiser International Classic Weekend and the 58th annual Budweiser International Classic 200, call the Speedway’s box office today at (315) 342-0646.